Farmgirl Fare: C Is For. . .
Farmgirl Fare is one year old today! Weekend Cat Blogging is also one year old! My WCB post will be up tomorrow, and so will my pal Clare's very special WCB celebration over at Eat Stuff in Australia. 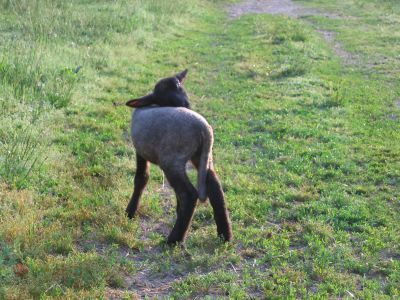 I figured I should do a little something special in honor of my blog's birthday, so I'm finally getting around to announcing what the deal is regarding the names for this year's ewe lambs (the boys don't get names). As many of you know, two years ago we realized that it would be a lot easier to remember which lambs were born when if we gave them all names that began with the same letter. So the 2004 ewe lambs all have 'A' names (Annie, Alison, Alisha, Amy, etc. 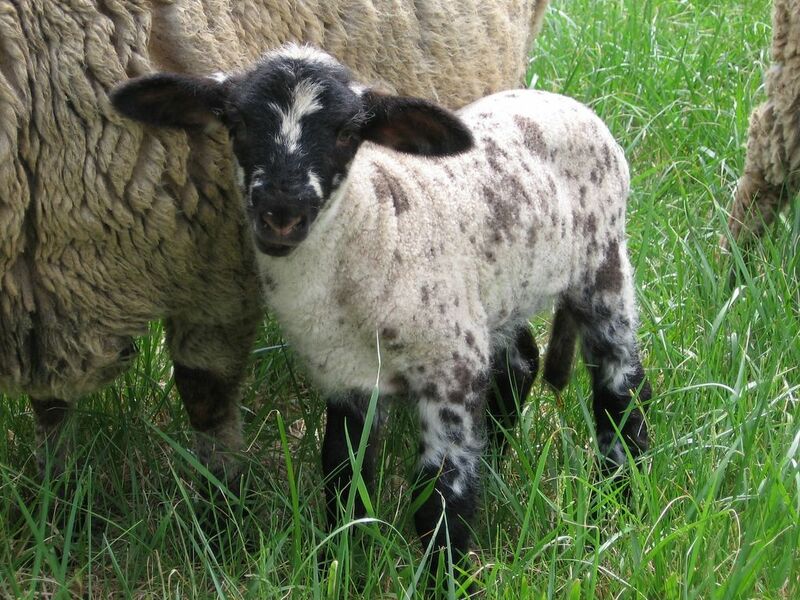 ), and the 2005 lambs have 'B' names (Beattie, Bella, Brett, Babsie, Becks, etc.). That means this year everybody needs a 'C' name--like Chocolate Chip Biscotti above who, appropriately, was born the day after I posted my recipe for Toasted Almond Chocolate Chip Biscotti. Click here to see her the day she was born, and click here for the biscotti post. And then there's little Caraway, of course. And finally, C is for. . .
Let's see, there is coriander, cumin, cheddar, cassava, cabbage, and COWABUNGA. Yes, it's a stretch but some cows produce food and some become food. I didn't know you could buy your blog a gift. I just past the one year mark last month. Hmmmm. I feel as if I surely must have been reading your blog for more than a year, because so much has happened on the farm. I can't tell you how much I appreciate your work here and your good self. So, enjoy your well-deserved chocolate and champagne, and I'll see if I can't keep the chickens under control for the evening. Cilantro, chimichanga, cinnamon, celery, coffee, cocoa, chowder and CARDOON- for starters. Can't keep us chickenz down, heh, heh. Wait till the chicken blog has its birthday. Party in the henhouse, eh? Thanks for the photo! Total cuteness! How about Chambord or Cachaca? I think in honor of lindy (the chicken) and whitey, who are clearly under-appreciated and under-recognized, you should make this the Year of the Chickenz (since Chickenz starts with C! See?). Everyone gets chicken-something!!! Chicken-finger Lucy, Chicken-legs Suzie, or Chicken-lips Louise. How many body-parts do chickenz have anyhow? Note that out of respect for the seriousness of this matter, I left out Chicken-$h*t Sally....I'm nothing if not dignified. Cauliflower... Cappuchino... Cardamom... But I'm with Lindy on Cardoon! Jeff -You do us honor. But (psst!) we don't have lips. Happy one year blog birthday!! You sure have accomplished a lot in one year. I was going to say name a lamb cilantro, but someone beat me to it. How about curry? Cocotte. It's yours. A French term of endearment and a handy cooking vessel. Thank you so much for sharing your life with the rest of us..
What about Cin-Cin or Cheers? Good morning and Happy Anniversary !!!!! Happy Blogiversary, Champagne and Organic Chocolate? Has someone been to Trader Joe's? I vote for Comfrey. Happy blogiversary, Farmgirl! You've made our lives a little richer every day. Happy First Anniversary to my favorite gotta-read-it blog! Thanks Susan, for a really enjoyable moment every day! Congratulations! Your blog is one of the greatest. Thank you for helping us survive the city life. Chaquita Oops! I think you have a Clara Belle. I will go back and check. Hope you have a bright, sunny day. Happy, Happy Anniversary to you!! Thank you for starting this wonderful blog. When I was a little girl I spent some time domesticating a wild pony named Chickahominy (Chicka for short), after the Cherokee name for a nearby Georgia river. Her owners called her Cookie, but as the romantic little girl I was, I believed that the reason I was able to tame her was that I knew her "true name." Why yes I am from Wisconsin why do you ask? But sunidesus, can you really name a sheep "Chevres"? How will we tell the sheep from the goats?! Happy Anniversary! One year and counting. I do so enjoy your site. What about chipotle for that one feisty little girl? I'm sure you have one. Has anyone said Cinamon yet? In honor of the beautiful Herdwick sheep of Cumberland and Westmorland in the English Lake District, I'd like to suggest Cumberland Rum Nicky, which is also a dessert (Google it, and you'll find a lovely date rum tart). Thank you for reminding us daily of the joys nature has to offer all of us. Here's hoping the next year bring even more joy. As for my entry for the "C" name ... I submit the name Cosima! I suppose naming a lamb Curried would be in bad taste? Happy Blogiversary! It goes fast, doesn't it? Oh, I forgot to give you my suggestions for names... Clover and Crimson. Those are the names of my cats, so why not lambs! Cheesecake. Chive. Coffee Bean. Chip. Candy Cane. Candy. Cucumber. Chorizo. Cannellini. Capellini. Crouton. Croissant. Cruller. Chex. Chambord. Chimay. I'm thinking these are a little insensitive but for a giggle, lamb goes with a few things ... Casserole, Chop, Curry. Sorry.. how about couscous, chervil, creme de menthe, cheesecake, chips, caramel, or my fave chick pea (damn good in the pesto!). Have a great day. Thank you for one year of excellent blogging! Cassava, clover, cilantro, coriander, cranberry, churro and cinnamon are the ones I like that have already been suggested. My suggestion would be Callebaut, the Belgian chocolate brand. Scratch my suggestions. My vote goes for Dana's suggestion..Clover. Oh...Do we get to vote on the finalists? First time I've ever posted, but I read your blog every day and love it. Happy blogiversary! There's some great suggestions here, so I'm going to second (third? fourth? )my personal fave, Cinnamon. What about Cocoa? Oh, and Cocoloco. I always used them for passwords, b/c they were easy to remember and made me laugh. More considerations: chapati, challah, and clover. Interestingly enough, I know a Cinnamon and her sister is Candy. Oh Happy belated blog birthday to Farmgirl Fare! Am I too late for my favorite girl name this year ( which my daughter rejected for her baby girl) CLUNY? ( pronounced clooney). (I know, I tried it before,for the last name game, but try, try again. Blinked on the foodie rule...... I love Clover and Cinnamon, too. I was looking through my French cookbook to slyly announce a French dish named Cluny something or other but no go. Sigh. Chocolat. Cognac. Carrot. (carotte) and Chou-fleur (cauliflower). Ma petite chou. I think that's cabbage. Cookie. If you pronounce cherry sort of Frenchified, it comes out cheri, which is prettier than cerise, which is actually cherry in French. Hum. Tonight seems to be la belle France night......kisses to all the petites chous! Kat's comment reminded me, there's a delicious french dessert/cake called clafoutis (pronounced klef-oo-tee), like a sponge with cherries dotted in it, a friend of mine has a rabbit with this name. Good name for another spotty lamb? It's b'fast time. How about Chex and Cheerio? For those who don't know, Norton/Cynthiana is a native American varietal (but not a "fox" grape), and is the official state grape of Missouri. The reason for the two names is because there were two grapes that were long thought to be different varietals, but recent genetic testing showed them to basically be the same. Norton/Cynthiana is planted all over Missouri, and makes a delicious dry red wine. Historically, a Norton wine made near Saint Louis was awarded the title of "Best Red Wine of All Nations" at an international competition in Vienna in 1873. There's a great article about the grape here: http://www.thewineman.com/nortongrape.htm. And speaking of Missouri wine grapes, you also have the names Chambourcin, Chardonel, and Catawba to choose from! Oh, and Concord! How could I forget Concord? With that in mind I didn't see a mention of Champagne. Or how about Cerise, Cherry Pie, Cup Cake, Crab Apple, Clouty Dumpling (A Scottish favourite) or Choux Bun?? Well, before I logged on and found out you are back up (need to put you into blogger) I had decided that "cranberry" was my choice. But THEN I saw that it had been suggested several times. So to stay original since I'm from Washington state I have a native plant from there for you, the "Camas Lily" (pronounced cam'us). Not only is it a beautiful flower, the Indians ate the root and the Lewis & Clark party learned to eat it from them. 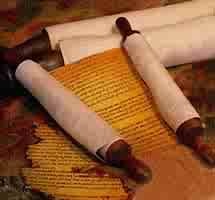 There you have a little history thrown in! so many great names! did someone already submit clafoutis? I also submit "Cress" (short for watercress), Cippolini (the little onions), and Cassis. Does it have to be food themed? 'Cause I like the name Copper (like a penny or a jelly mold) too. Naming those babies becomes a BIG job when you are blessed with abundance. Being a country girl myself - keep thinking of "Cobbler"(not so fancy a name as Clafouti but delicious!) who could be Cobbie for nickname. Hooray for being back - miss you'd much! Oops - forgot to list my other fave - Chimichanga! Now that's a good lamb name - Chimicita!Ole! Love your blog Farmgirl! 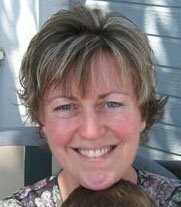 You inspired my husband and I enough to sell our city house in Toronto and move to a house 3 hours away on a river with 2 barns to start a new life with our children. We move in 5 1/2 weeks!! Calli (short for calico), Claire, Chardonay, Clyde, Candy, Clover (I love this because as we know sheep do love a bit of clover!). 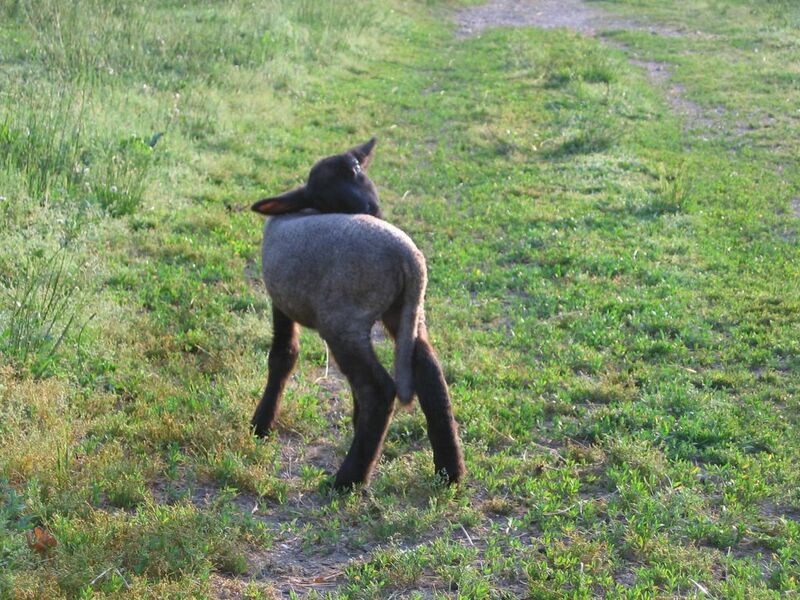 Calypso for the lamb that loves to dance. I was going to suggest Cruller, but since a couple others already have I'll vote for that. And Chili! Has no one else suggested Chili? Does that mean that 2007's ewe lambs are "D" names or still "C"s? "Compote" - to be nicknamed "Potey". :) I was going to say "caraway" but that one had already been taken. I like "Caracas", but it's not a foodie name, it's just a fun word to say. Cambozola! Good cheese, fun sound.